How to cope with negative marking ? Attempt the answer when you are sure about it, do not make random guesses. One of the four options is the correct answer, rest three options should be chosen after a good thought. Often the wrong ones lure you the most in case you are not confident about the answer and they trap you. Thus, you should always mark when you are certain. Do mark definitely when you are confident about two options and also mark when you are certain about two options being incorrect. This does yield some good positive marks ultimately. It may seem luring to know that if all questions are marked randomly then ultimately it yields you some positive marks. But this may be disastrous. Firstly because there might be progressive negative marking which may decrease your marks by 20 to 60 marks. Secondly, attempting a question you are doubtful about deviates you from the real task. You must know that there are abundance of questions demanding your time to get solved genuinely. 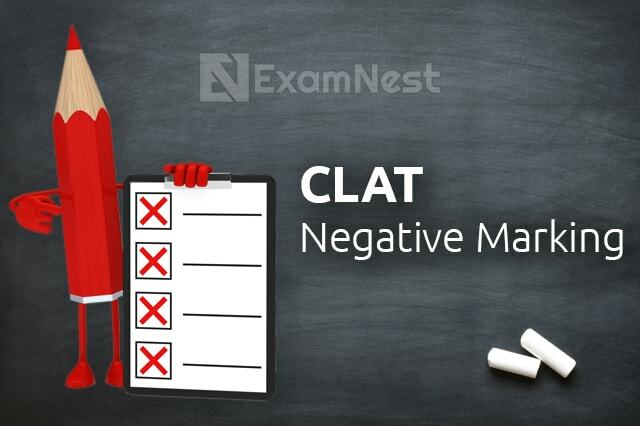 Almost all CLAT questions are doable, what matters is the time.While attempting unsure questions you kill lots of time in sorting out options. The mind gets diverted more on that rather than attempting the questions in peace to have a better accuracy.